I had already posted the recipes for Vegetable Stew and Vegetable Khurma but I am reposting it for Let’s Go Nuts – Coconuts, hosted by Padmajha of Seduce Your TasteBuds, brainchild of Aqua. 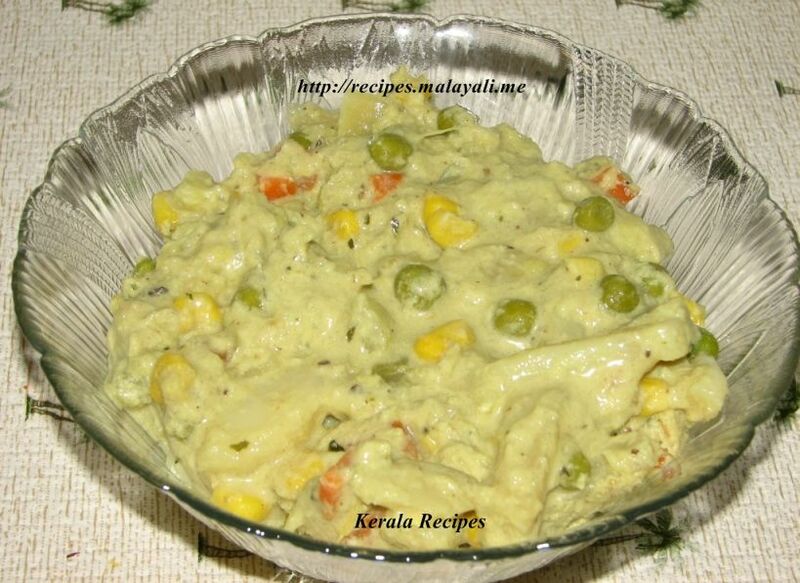 Vegetable Stew is another favorite dish of Keralites. 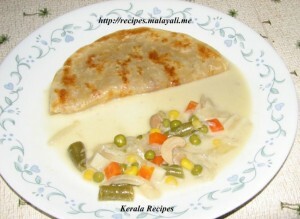 It is made in Coconut Milk using vegetables of your choice. Coconut Milk imparts a wonderful flavor to the stew. You can make stew using a single vegetable or use a combination of veggies like Potatoes, Carrots, Green Peas, Beans and so on. It goes well with Palappam or Velayappam, Idiyappam, Parotta etc. Here goes my recipe for Kerala vegetable Stew.